ICAEW members from more than 20 top accountancy firms looking to fill ACA training vacancies, including PwC, BDO and McGee Group, teamed up with Middlesex University Business School on 9 March to host a very successful Speed Meeting event. Students attending the event had the opportunity to network with a variety of employers in timed slots, practice and perfect their pitching and interview skills, and directly bypass the standard application process by presenting their CVs in person. 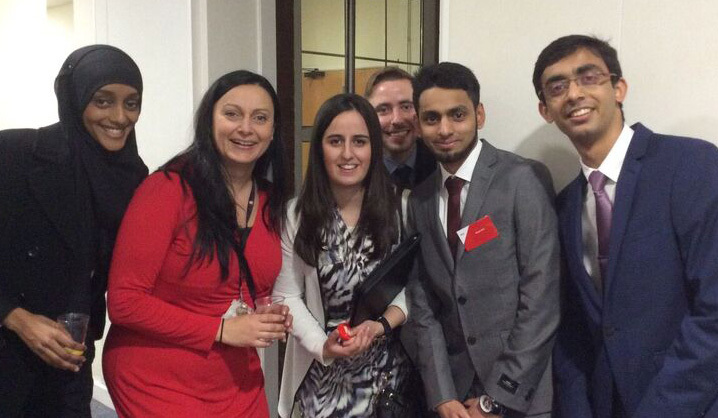 “The intention was to give our students an opportunity to impress ICAEW member firms as prospective employers. However, more importantly, it encouraged large numbers of our students to improve their CVs and personal presentation skills,” commented Jo Abdul-Rahim, Director of Accounting Programmes. Ahead of the event, mentorship and support provided jointly by Business School academics and the Employability Service included CV checks, LinkedIn profile advice with use of a professional headshot photographer, and elevator pitch preparation. Final-year student Accounting and Finance students Rasesh Bharadia and Vishal Bamaniya, who attended the event, have both succeeded in securing positions with prestigious firms Shelley & Partners and Glazers Chartered Accountants respectively. “The experience was really good, as it allowed me to speak to 20 companies in a specific time frame," commented Vishal. "The Employability Service has been great. I sent my CV and cover letter and received feedback the next day. This possibly led to my success in securing a graduate role." Ladi Mohammad, Employability Service Business Partner for the Business School, highlighted the benefits of the Business School’s Speed Meeting event and accompanying employability skill development: “It’s great when employability events result in students securing a job or even an interview as this directly benefits those involved, but also encourages other students to take action and do something to improve their own prospects”.